This stone church, by Temple Moore, was opened in 1897. 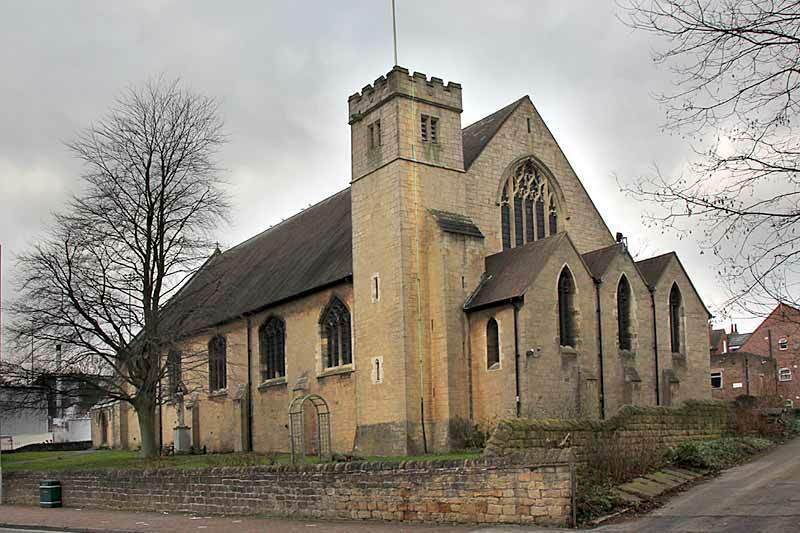 It was built on the site of a temporary iron church, which had succeeded the ‘Navvy Mission’ (for workers building the railway line to Worksop), and which had served as the parish church of St Mark when the parish was created in 1889. The building consists of nave, side chapel and a small tower at the south east corner containing one bell by Mears & Stainbank, cast in 1892. The exterior is almost conventional neo-Perpendicular, plain but dignified. Instead of internal aisles it has square piers between side chapels and niches which are connected by passages with round-headed arches. The west end of the nave is screened off by two arches on a central column and there is a two-bay north east chapel. There are four windows by C E Kempe & Co. The altar appears to be Leslie Moore’s work. All in all ‘the plan is that of the best late Victorian churches’, according to Pevsner. 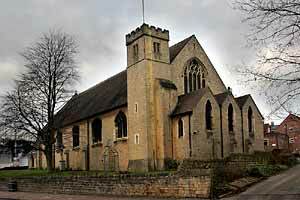 Henry Thorold called it ‘a masterpiece … a church with a powerful devotional atmosphere’.